Suffering a work injury is undoubtedly a stressful experience. One may be in severe pain, the extent of their injury and its duration may not be immediately known, and they may not be sure when or if they’ll be able to return back to work in the future. For these reasons, it’s important to preserve your right to a workers compensation claim straight away, and to know the filing process should you ever find yourself facing a work injury. With knowledge of the workers compensation claim process, you’ll feel confident and prepared, which helps to lessen the amount of stress felt if an injury occurs. The first thing an injured worker should do after facing an injury is to report the injury as quickly as possible. In the state of Florida, an injury may be reported within 30 days of the accident occurring, but the quicker an injury is reported, the more likely a person will be to receive compensation. When an injury is reported quickly, a stronger case is built that it was the work related accident that caused the injury, not an unrelated off-site accident workers compensation would not be responsible for. If an injured worker fails to report the accident within the 30 day time frame, their claim will be denied, and it may be more likely to be denied should they wait until the allotted window is coming to a close. Reporting the injury is typically done to a person in a managerial position within your department. An injured party will notify a manager of their accident and their injury, telling them the details of the incident so a formal report and claim can be filed. In some instances, an injured worker may be hospitalized and unable to notify a manager straight away, and in these instances a formal notice requirement is generally more relaxed. • Names o all witnesses – Any witnesses who may have been present while the accident occurred should have their names and contact information taken and provided to the manager filing a workers compensation claim. • Detailed description – A detailed description of the accident should also be provided. This detailed description should include exactly how the accident occurred, where the accident occurred, and when the accident occurred. Also included in the description should be any immediate known injuries or injury information. After reporting the incident and filing a claim, a full medical evaluation will be sought. Even if immediate medical attention was sought before a report was filed, which is often the case in more severe accidents, an evaluation from an insurance approved medical professional will be required. An employer will be able to provide a list of approved local medical professionals vetted by a workers compensation provider. After an employer has been notified and medial attention has been sought, an employer will typically submit their report to the Florida worker’s compensation board or industrial commission. The employer may also use this time to notify the worker’s compensation insurance provider. 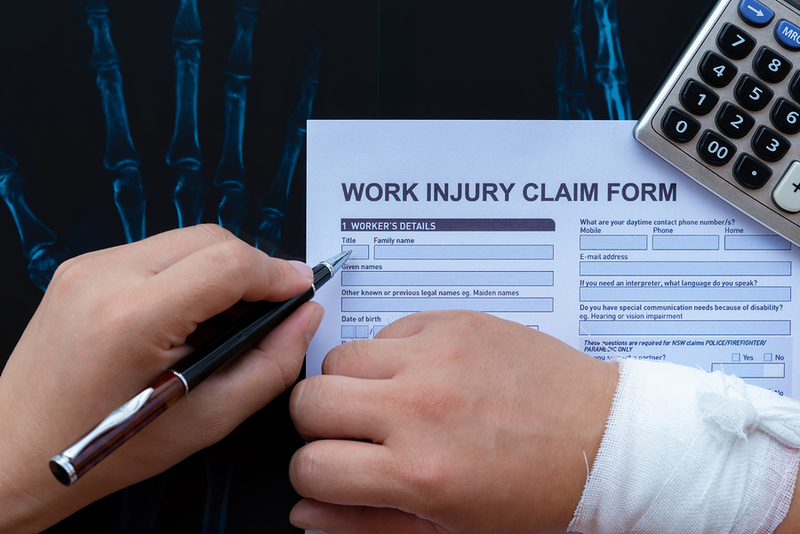 If an employer is taking too long to file the claim, an injured worker may also file a worker’s compensation claim for themselves with the Florida Division of Workers’ Compensation alongside their workers compensation attorney. Injured workers in the state of Florida deserve a seamless and confident experience filing for workers compensation after a workplace injury. If you’ve been injured in a workplace accident and you’re seeking representation throughout your claims process, contact us at AllInjuriesLawFirm.com today.